KimYe Welcome Their Baby Boy! 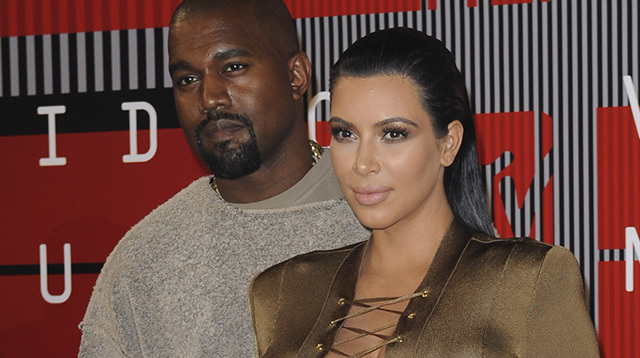 Kim Kardashian and Kanye West have welcomed their new baby boy! Their little bundle of joy was delivered on Saturday morning, December 5, without complications, a week after Kim underwent a medical procedure to turn her breech baby around. The new parents have yet to reveal a name, but Kim was quick to post the happy news on her website. "KANYE AND I WELCOME OUR BABY BOY!" she wrote excitedly. Kim also took to Twitter, writing, "He’s here!," alongside a touching snap of her holding hands with Kanye. “Kim Kardashian West and Kanye West welcomed the arrival of their son this morning. Mother and son are doing well,” a statement on her website confirms. Their son is a baby brother to two-year-old North. Just like their daughter, the baby was born a little early, as Kim was reportedly due to give birth on Christmas Day. It seemed like Kim was getting a bit impatient, as she posted a picture on Twitter on Friday, showing off her big baby bump while wearing a sports bra. “Ready whenever you are lol,” she addressed her baby boy.